Sacevich Law Apps is a small software development team from Northern Ontario, consisting of a criminal defence lawyer and a software engineer. The team’s goal is to create apps that help Canadian criminal lawyers work more efficiently and effectively in advancing the cause of justice. Jailbird is a premium legal app that allows criminal lawyers to quickly and easily perform complex sentencing calculations to gain valuable insights at all stages of criminal court proceedings. Jailbird helps Criminal Lawyers quickly calculate and compare total proposed sentences in both adult and youth matters. 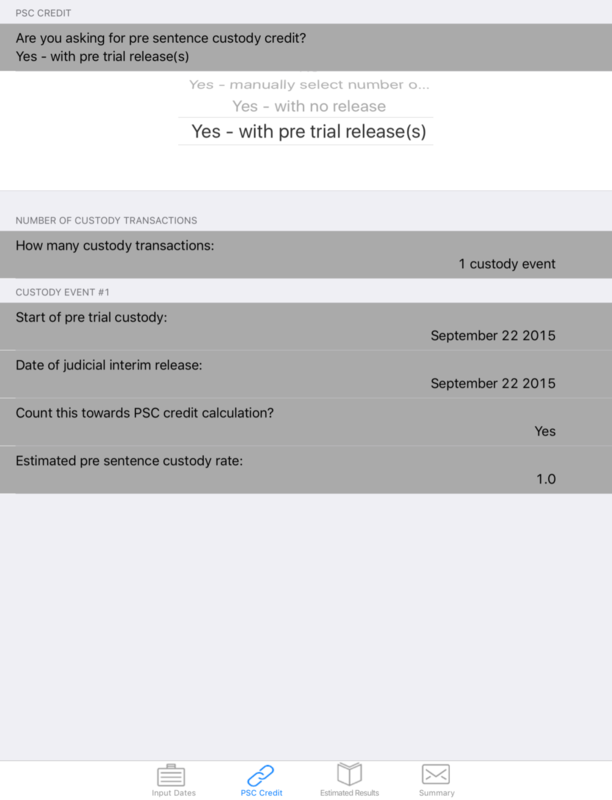 The app permits the user to select the applicable proposed earned remission rate and swiftly performs complex pre-trial custody credit calculations, including situations with multiple pre-trial release dates applying variable custody credit rates. Jailbird also estimates potential release dates for different kinds of sentence, including intermittent sentences, and calculates ages at various stages in the process. Jailbird is an invaluable tool that should be in every criminal lawyers toolbox. Jailbird is also available on BlackBerry through the Google Play store. For more information about using Jailbird on BlackBerry, check out CrackBerry.com. ©2015 Sacevich Law, All Rights Reserved.